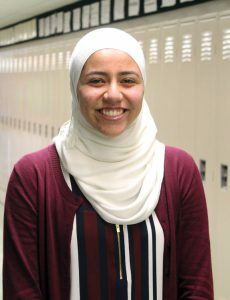 BEACON FALLS — As a freshman, Bayan Galal joined the Woodland Regional High School student government as a way to get involved in the school and organize events for her class. In the years that followed, student government stoked an interest inside Galal she didn’t realize was there. “As I went on in student government, I found that I also really liked the politics and government side, and I never realized how much it interested me actually until it was really cultivated in student government,” said Galal, who is now a senior and student government president. 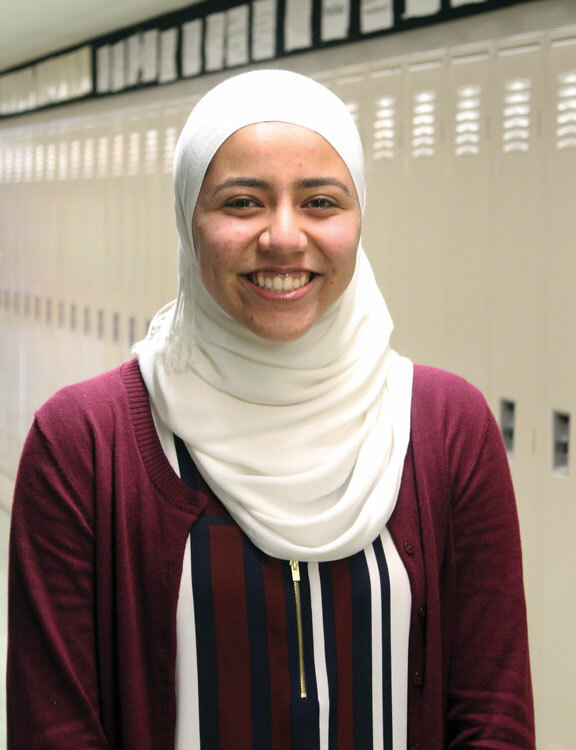 After being involved at the school and local levels — she’s one of two student representatives on the Region 16 Board of Education — Galal will get to experience firsthand how government operates at the highest level. Galal is one of two students in the state chosen to represent Connecticut as a delegate to the United States Senate Youth Program in Washington, D.C.
“This really gives me the opportunity to take it a step further,” said Galal, a 17-year-old Prospect resident, about the program. The United States Senate Youth Program is a week-long educational experience and scholarship sponsored by the U.S. Senate for outstanding high school students who are interested in pursuing careers in public service. Two students from each state, the District of Columbia and the Department of Defense Education system are selected each year to attend the program. The students selected will spend a week in early March in Washington, D.C. engrossing themselves in the U.S. government, including meeting senators and Supreme Court justices, and visiting landmarks. “I’m so excited at the chance to see firsthand how our government works,” Galal said. Aside from getting an up close and personal view of government in action, Galal said she’s also looking forward to the opportunity to meet and speak with so many students who, even though they have diverse backgrounds, share a common interest. But she’s probably most excited to visit the Supreme Court. “I think to stand there and think about all the cases that have been determined and how it’s changed the course of our nation’s history, I think that will be one of the greatest experiences,” she said. Students are selected for the program through an application process, which includes writing two essays and providing a high school transcript. Fifteen finalists from Connecticut were chosen and made the trip to the state Department of Education in Hartford in October to be interviewed. After being interviewed, Galal recalled thinking her selection for the program would be a long shot. School officials received the good news the next day. “It was all tears after that, and screaming,” Galal said. Woodland humanities teacher and student government adviser Christopher Tomlin recalled Galal’s exuberance, terror, uncontrolled giddiness and disbelief — and the authenticity of it all — when she found out she had been selected. “It was just really cool to see her exuberance and to put yourself out into this situation, and to just see, honestly, how exciting and meaningful it was for her was awesome,” Tomlin said. Two Woodland students have applied for the program over the past few years. Both were selected as finalists, but Galal is the first to be chosen as a delegate. “There’s students who come in who are awesome and there’s students who come in and leave a mark and there’s students who come in who are exceptional, and Bayan is a beautiful combination of all of the above,” Tomlin said. The interest in politics sparked by student government not only played a role in Galal applying for the youth senate program, but has helped shaped the path she wants to follow after high school. Galal will attend Yale University in the fall and plans to double major in molecular biology and global affairs. She admits the two subjects come across as random and jarring, but she’s enthusiastic to see how they will come together. Congratulations to this ambitious young woman! It sounds like this will be a unique opportunity to learn about how the federal government works firsthand. I had the opportunity to watch Supreme Court oral arguments a few years ago and it really was amazing to be there and witness the body that has determined the course of our country in many ways. I wish her well at Yale and beyond.